Floors are constructed using engineered open web joists. 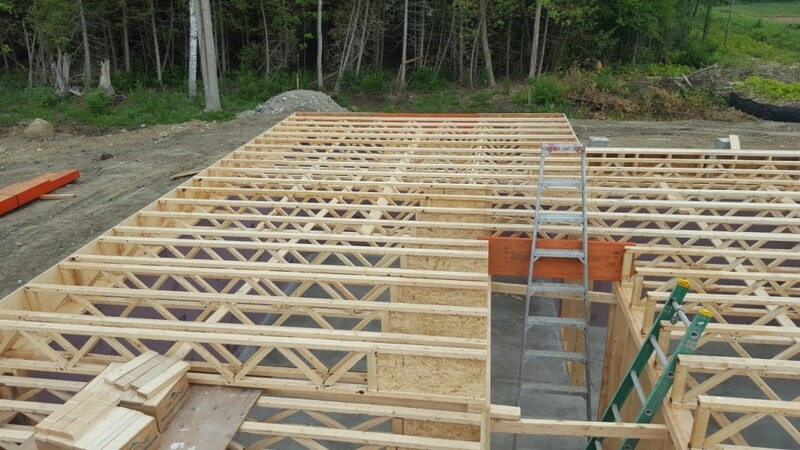 Engineered joists minimize floor deflection, allow longer spans between support walls and are more environmentally friendly as they use less wood than dimensional lumber. Further, they reduce the need for bulk heads as services can run through the open web. Sub-flooring, constructed using 5/8” tongue & groove spruce plywood, is glued to joists and power nailed to eliminate squeaks. No chip board is used.